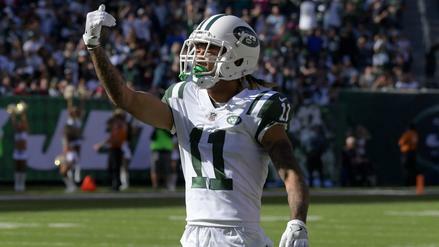 Robby Anderson returns as the Jets' number-one receiver. But with Jermaine Kearse and Quincy Enunwa also vying for targets, where can you look for value in New York? 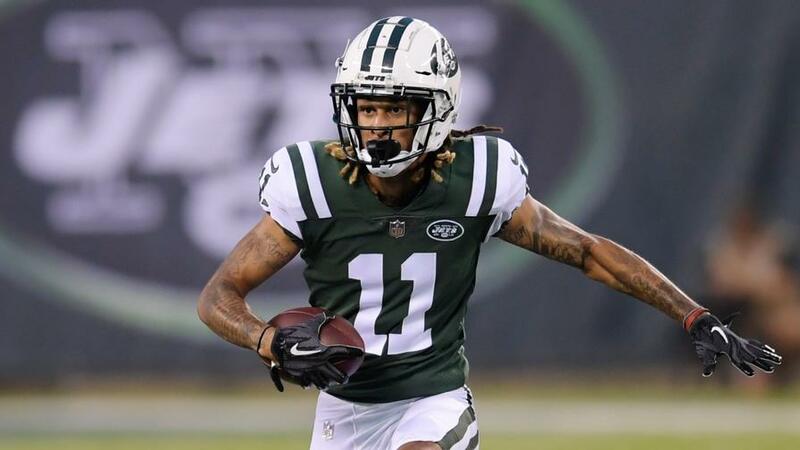 Two New York Jets wide receivers are going to provide solid production for your fantasy teams this season. No, really -- I mean it. Now, the question is which two are you willing to hitch your wagon to in the mid-to-late rounds of your fantasy football drafts? Why target two of their pass catchers? 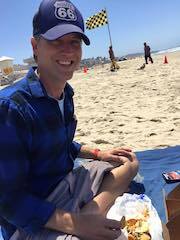 In dramatic fashion, the New York Jets moved up to the number three spot in the 2018 NFL Draft ito take USC quarterback Sam Darnold, with hopes of getting their franchise back on course after a 5-11 record in 2017. And while their roommates from the NFC took running back Saquon Barkley at the two spot, the Jets drew overall praise for taking their franchise quarterback one pick later. Darnold, at present, looks on target to start the season atop the Jets depth chart at quarterback, ahead of Teddy Bridgewater and Josh McCown. And if that is truly the case, the quarterback in charge of getting Jets players (and our fantasy assets) into optimum scoring positions might need a little stability at the wide receiver position. However, it wasn't exactly the warmest of welcomes for a rookie quarterback looking to set the world on fire. Darnold discovered that the number-one receiver from last season might be suspended and the team's big free agent acquisition -- Terrelle Pryor -- hasn't exactly ingratiated himself to coaches. 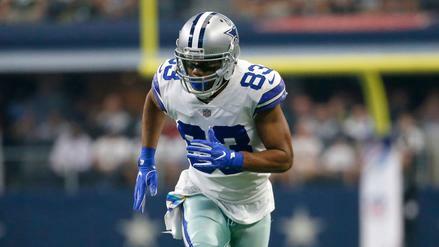 The wide receiver position is in a state of flux heading into the start of the season. 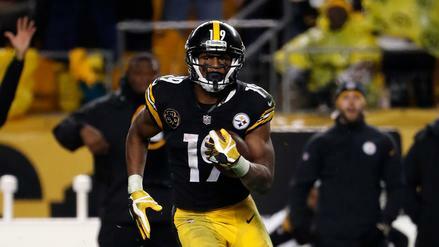 Who will slot in where has yet to be determined, but that doesn't mean we can't analyze the situation in hopes of finding fantasy value in this controversy-ridden passing offense. So, let's do it. According to newyorkjets.com, the team unofficially lists Robby Anderson and Jermaine Kearse as their top two receivers. After all, each of them caught over 60 balls last season as they ranked 30th and 34th, respectively, in wide receiver receptions a year ago. But after them, it's slim and grim, as far as proven commodities. Digging deeper into Anderson and Kearse, we can look at their target share, as well as other next-level stats like air yards and air yards market share (MS Air) and what the Jets' number-one and -two receivers Jets did with those targets in 2017. The target share was extremely close for Anderson and Kearse, with the latter serving as a true number-two possession receiver. While Anderson did a lot of his work far beyond the first down marker, Kearse posted an an average depth of target (aDOT) below 10. Kearse's value stems from his role as the Jets' number-two receiver but at the price of one of the final picks in your draft. Here's an idea of how Kearse compared to two players who operated as their team's number-two receiver on a similar target share, according to NFL Next Gen Stats. The table shows average cushion, separation, target air yards, percent share of team's air yards, receptions, yards and touchdowns. Crabtree was a red zone monster again in 2017, but Kearse compared quite nicely in most other categories and separated much better than Crabtree. He also led in share of his team's target air yards and yards. Behind Anderson and Kearse are Terrelle Pryor and Quincy Enunwa. The return of Enunwa will help, but he is back after missing the entire 2017 season with a season-ending neck injury -- one that required surgery and briefly threatened his career. This is where Pryor was supposed to come in. At this time a year ago, there was a lot of promise with Pryor headed into a new situation with Washington and coming off a breakout 2016 in Cleveland. Was he going help revitalize the Washington Redskins’ receiving core? Could he be an elite receiver? As it turned out, none of that happened. Pryor’s confusing 2017 season was riddled with injuries, a lack of receptions, and eventually little to no playing time. Pryor’s 2017, by all accounts, turned out to be an injury-plagued season and we never got the chance to see him build on the promise of the year prior. So with very little to lose and plenty to gain, the Jets signed Pryor to essentially a $2 million contract, what could be a bargain if he returns to his 2016 form. Now Pryor's spot is tenuous at best, as he's made news during preseason for everything except his play. After passing on too much information to the media regarding an injury, he drew the wrong kind of attention form head coach Todd Bowles. In the meantime, Robby Anderson has proved that he can be a deep threat and an impact receiver in the league. But the Jets’ leading receiver could have a suspension looming, and his fate makes the New York receiving situation even murkier. Jermaine Kearse returns after a solid season and should help to stabilize things, but is he a number-one kind of guy? Probably not. And digging even deeper, the fifth and sixth receivers on the depth chart are Chad Hansen and ArDarius Stewart, who are both relatively unknown, unproductive players to this point. According to Fantasy Football Calculator's average draft position (ADP) data for standard leagues, Anderson is going as the WR35 in the early eighth round. His draft position provides a safety net where the draft equity isn't so scary for a player with a troubled past. And despite fears of a one- or two-game suspension, his arrow is pointing way up. Within his 63 receptions last season, Anderson had 20 receptions that went 20 yards or more, and his average depth of target (aDOT) was 13.0 yards -- seventh among receivers with 60-plus catches a year ago. He is a big-play receiver going among guys like Emmanuel Sanders, Devin Funchess and Randall Cobb. Kearse, the other notable option for the Jets, also has trended in the right direction. And if Enunwa can't get up to speed, Kearse has the number-two job to himself. The crazy thing is he's going undrafted in most leagues, which makes him free to own to start the year. Is this the type of production you expect to get for absolutely nothing? As a last round pick or waiver wire pickup, Kearse is worth a shot for his role in the offense, especially if he's a number-one option for a week or beyond if an Anderson suspension is handed down. As for Pryor and Enunwa, they aren't being drafted within in the first 200 picks of drafts. But when we last saw both healthy in 2016, they both showed solid production. Pryor and Enunwa finished with 209.8 and 168.9 PPR points, respectively. In his first full season as a top flight receiver, Pryor showed the promise of a potential impact player and was the reason Washington -- and now New York -- took a chance on the former quarterback. Enunwa was solid, plain and simple. He wasn't nearly as efficient as Pryor, but if the Jets can open things up this season, Pryor and Enunwa might elicit a second look. But when evaluating your draft picks in the twilight of your drafts, taking a flier on guys with proven production like Anderson and Kearse, and taking a wait-and-see approach with Pryor and Enunwa, should prove to be the right course of action.